HMD Global, the company that successfully revived the Nokia mobile phone brand, had a great Mobile World Congress (MWC). The Finns managed to score almost two dozen awards during the 4-day trade fair, more than it did last year at MWC. 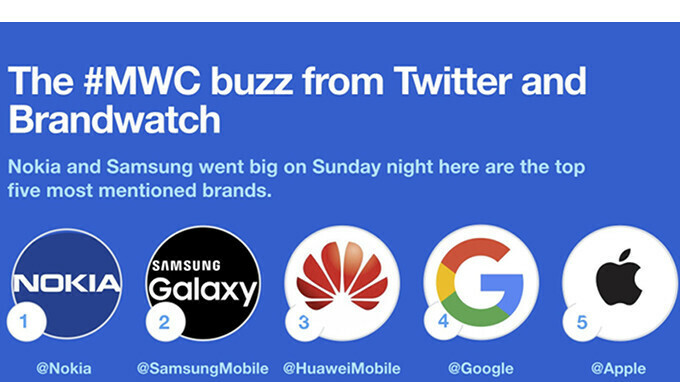 According to a survey published by Brandwatch in partnership with Twitter, Nokia was the most mentioned brand during MWC 2018, surpassing giants like Samsung (2), Huawei (3), Google (4), and Apple (5). 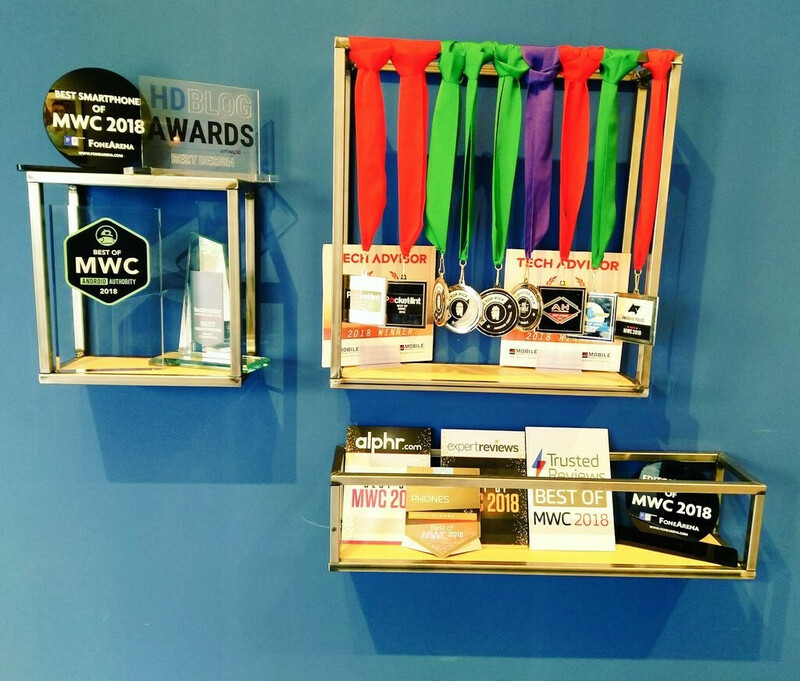 Moreover, HMD's CPO Juho Sarvikas confirmed his company received 21 awards at MWC, a new record for the Finnish handset maker considering last year it got only 17. HMD has a pretty strong Android lineup this year, but the star of the show was probably the Nokia 8110 4G, a feature phone that will soon be available for purchase for just €80. The Finnish company heavily relies its marketing decisions on nostalgia feelings a certain device can trigger among Nokia fans. I'm personally waiting for a brand new Nokia Communicator. I'd definitely buy one. Nokia is still a sellable brand. Nokia/HMD is incredible, there is no denying that. The “other fruit brand” has absolutely nothing to do with this article. It’s clear that this “other fruit brand” has caused you immense pain. You act like a scorned lover concerning them. You’re mentioning the “other fruit brand” to troll them, just like you constantly do in their articles. BlackBerry has nothing to do with Nokia’s value or success. Mind you, BlackBerry doesn’t even make phones anymore, but that’s a hard truth you’ll continue to deny. Common bro, there is no need to get so emotional. LMAO! Posting facts isn’t getting emotional. I really hope they bring back the Communicator series like the E90 flip phones. I still have mine (retired now) but if they put a FHD screen in it and android, it'll be a massive hit amongst the business community! Indeed, I ma particular impressed with Nokia 7 Plus . Seems like they hit right money for value spot. This phone is a real looker, has really decent specs and comes with pure Android Oreo on board. I expected no less from Nokia/HMD. They’ve been on a roll and proving all of the doubters wrong, as well. Congrats, Nokia/HMD! Nokia is doing great!! Keep it up Nokia!!! Nokia 7 plus looks promising. Stock Android is better and faster. No commercials and bloatware! 1. install substratum and theme your phone. these themes are better than those found in Miui or samsung UI. you can even theme app like playstore and whatsapp. its free from playstore. you can even make your phone look like touchwiz if you like samsung look. 2. install Nova launcher, customize icon, and other home screen customization. advantage of stock android is that you can customize it the way you want, no compability issues. No surprise at all. Personally if i were to buy a high-end Android right now i'd buy the Nokia 8 Sirocco. It has the great design of Samsung flagships and more frequent and guaranteed updates. I feel like they would do awesome in the US if they just priced their phones a bit more competitively like the Moto line. Awesome phones...gonna pick one up. Love me some Nokia. They achieved that with the Nokia 6 (2017) when they offered it through Amazon. I think the Nokia 6 (2018) and Nokia 7 + would hit the sweet spot because they are comparable to Moto midrangers. Bought a Nokia 3, terrible phone, with adds. Only problems and lag, went back to my old xa, also terrible, but way better than nokia 3. Hopefully these higher priced ones is alot better. I love nokia, but that nokia 3 was a very big letdown, it actually made me consider another brand for my new upgrade. I don't know if I'll take the chance with another nokia.